New York's Long Island Railroad (LIRR) is a commuter rail system in the southeastern part of New York. The routes go from Manhattan to the eastern end of Suffolk County on the island. LIRR has an average weekday ridership of 354,800 (2016) passengers and is the busiest commuter train network in North America. It runs 24/7. The Long Island Rail Road reports that more than 15,000 items are brought to its Lost and Found every year. That's an indication of just how many people accidentally leave things on the train on a regular basis. Go online: You can go online and fill out the LIRR Lost and Found Lost Property Customer Inquiry Form. You'll provide information about the time of the train that you were on, and what items you lost. Go in person: If you prefer, and you're in New York City, you can go in person to the Penn Station Lost and Found Office to see if someone turned in your lost item. If nobody turned it in, fill out a Lost & Found Property Inquiry Form. The Lost and Found Office is located at Penn Station's LIRR Concourse level, main gate area. It is across from tracks 13 and 14, and to the right of the 7th Avenue escalators. The office is open weekdays from 7:20 a.m. to 7:20 p.m. It is closed on Saturdays, Sundays and holidays. By Phone: You call 511, then say "LIRR" and then say "Lost & Found." An LIRR representative will explain LIRR's Lost and Found Property System and what you can do to help get your things back. When you fill out and submit the lost item form, allow five to seven business days for the property to be turned in to Penn Station. 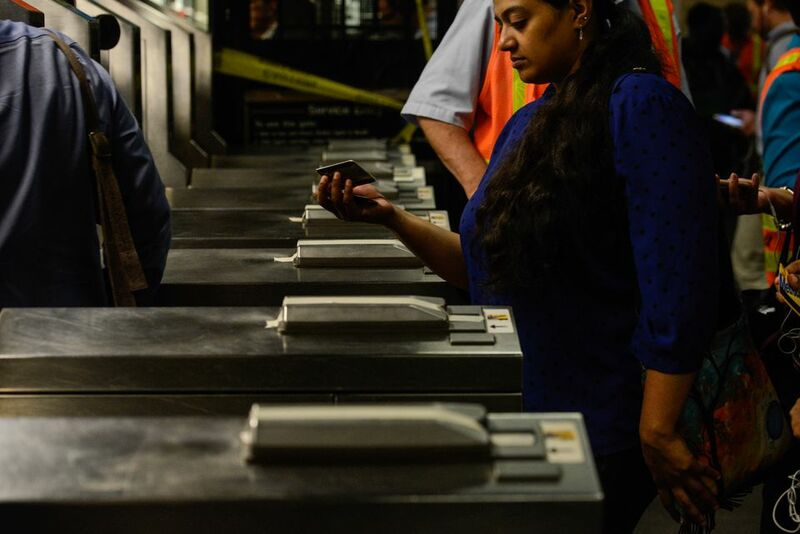 The LIRR has a process for getting items from the trains and platforms to Penn Station. Don't get impatient and fill out another form. If you live out of the area and have a lost item, the LIRR Lost and Found will work with you to send you your property via Federal Express at your expense. You'll have to work directly with Federal Express to get an authorization number that the Lost and Found can use to process the Federal Express paperwork. In all cases, the LIRR Lost and Found Office will email you if someone turns in a found object that matches the description of your lost item. You'll probably need to show identification, and if you are in New York, go to the Lost and Found Office to pick up what you lost. If you are picking up an electronic device, like a cell phone or tablet, bring the charger for the device so it may be powered up to assist in identification. If you don't realize you have lost the item right away, the Lost and Found will hold items for a minimum of 90 days. High-value items are held longer. Perishable items are discarded immediately.